Any company can benefit from a marketing health check, regardless of size, industry or whether you’re in the B2B or B2C sector. Sometimes it can be difficult to be objective about marketing when you’re looking from the inside. Getting an outside, unbiased perspective can be invaluable. We can take a peek at your digital and offline marketing communications to identify opportunities for improvement. 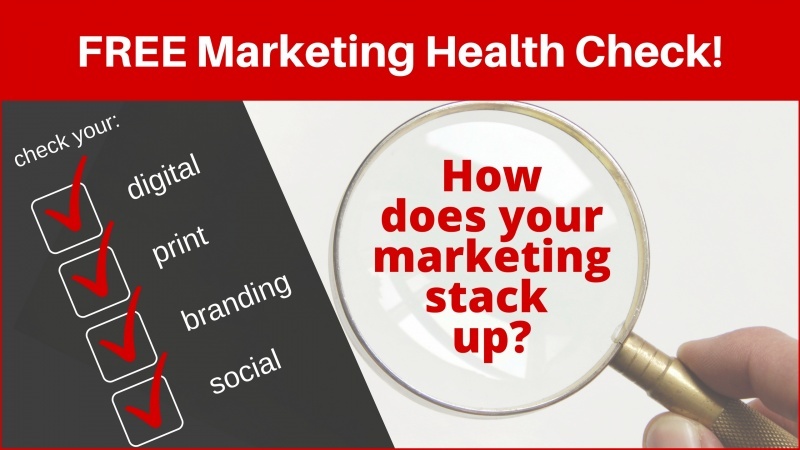 Book your FREE Marketing Health Check! Please note: as a face-to-face meeting is required to complete the health check, you must be located in the Perth metro area, Western Australia. Schedule your FREE Marketing Health Check, available for a limited time only.